We are doing something a little different this time on our blog. Some time ago we’ve asked you on Facebook what are the reasons you started swimming and keep swimming still. We were very happy with how many of you gave us a real, insightful answers so we’ve decided to create this blog post basing it on what you told us makes swimming awesome and helpful. This clearly is very important to swimmers and we absolutely confirm that swimming is the perfect antidote to very many health risks and problems. Swimming makes your body stronger, helps you keep your weight under control and it’s great for your heart as it keeps your cholesterol and blood pressure down! Another benefit is for your core strength helping you keep your spine and back strong but also used as a rehabilitation tool to help you recover from a trauma. All and all we totally agree with our followers and fans of Swimmo – swimming is great at keeping you in great health! Relaxation ..helps bring down anxiety. There are a lot of different ways swimming can improve your mental health and overall joy of life. It improves your mood, with some swimmers experiencing real euphoria after good swimming sessions. It also has a great impact on your focus and levels of energy throughout the day so you work more efficiently without feeling tired. Because of my wonderful friend, who is 80 years old and an incredible swimmer, told me that one day, my marathon runner days would come to an end so why not learn how to swim? You can never age out of swimming, she told me, so I got myself a swim coach and learned all four strokes at the ripe old age of 46. One day my children told me: ‚Why don’t you learn how to swim? It ‚s very easy!’ I started to swim at the age of 43 and now I can’t stop! My body asks for a swimming pool at least 3 times a week. Therteen years have passed since the first dip! Swimmo Team wants to thank all of you that participated in the thread on our [Facebook page] and we really are grateful for such an amazing group of people using Swimmo and following us anywhere on social media. 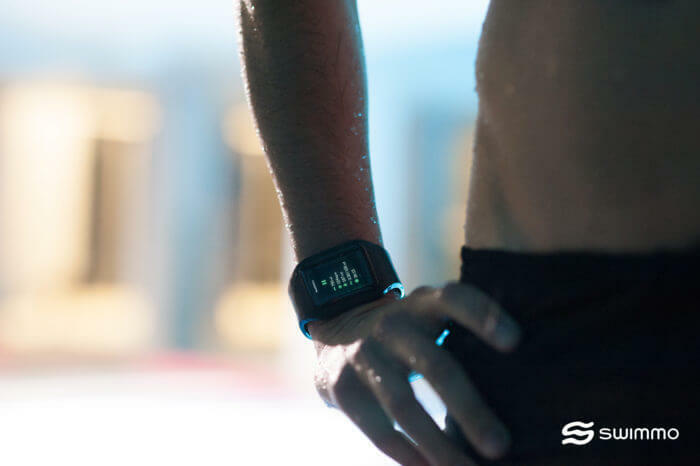 If you like what you see and haven’t yet got a Swimmo training watch of your own – what are you waiting for? :) Fun awaits!